The ever growing requirements in the complex field of nutrition for physically active people during extreme exercise and the rigorous requirements with regard to body regeneration lead to an increased demand for top quality high protein products among sportspeople. Nowadays, the competition has spread from football fields and sports facilities to the domain of nutrigenomics supported by advanced dietary supplementation, which now determine the success or failure for professionals and amateurs alike who have an increasingly competitive approach to their sports. It is indisputable that the amount of protein necessary in the bodies of healthy, physically active people is much higher than in those who do not engage in physical exercise (i). 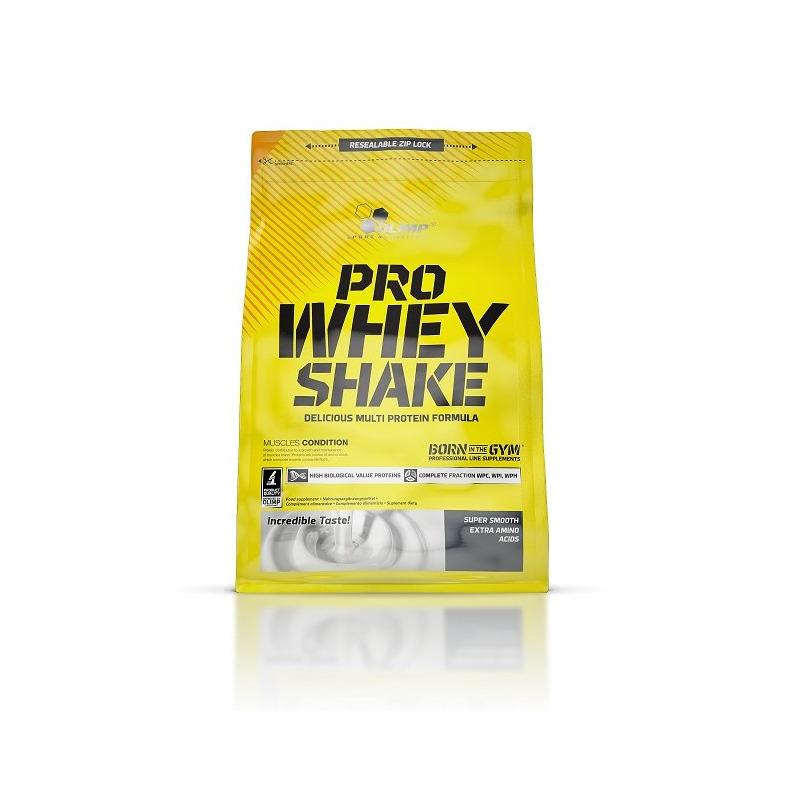 For this reason, the composition of PRO WHEY SHAKE was built on the basis of protein sources with the highest biological value, such as milk whey protein isolate (WPI), concentrate (WPC) and hydrolysate (WPH). Additionally, they are characterised by excellent PDCAAS digestibility factor, based on the demand for particular amino acids and the digestibility of a given protein source (ii). 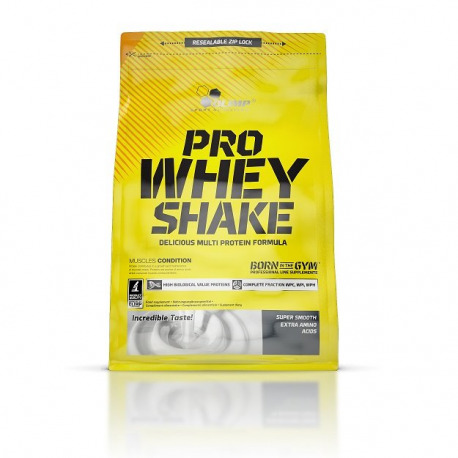 WPI, WPH and WPC, which are the dominant components of PRO WHEY SHAKE, have a very high amount of amino acids with branched side chains (BCAA) and sulphur amino acids, including cysteine – one of the main components of glutathione, which has very strong antioxidant formula.